Ontario’s new Long-Term Energy Plan (LTEP) – to be launched in spring/summer of 2017 – will determine the direction for Ontario’s energy future for the next 20 years. In accordance with the Electricity Act (1998), the Ministry of Energy for Ontario has invited Ontarians to participate in a review of the proposed LTEP and provide their opinion on the province’s long-term energy needs and how to meet them. As part of the consultation and engagement process, information sessions are currently being held across the province where consumers, distributors, generators, transmitters and other stakeholders are invited to learn more about the new LTEP and voice their opinions. 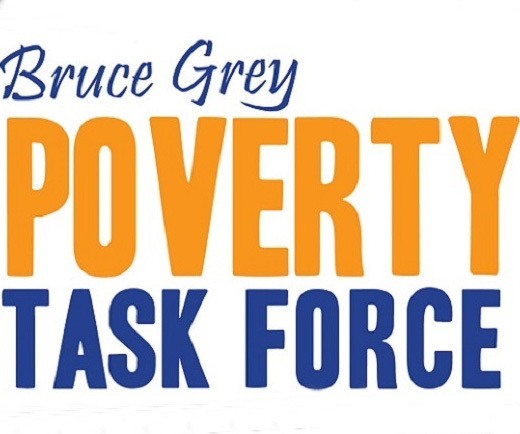 The Bruce Grey Poverty Task Force (BGPTF) is a network of more than 34 local government and social organizations working together to with key community stakeholders to advocate for the elimination of poverty and to enhance our common understanding of poverty-related issues through solution-based research, knowledge development and information sharing. The BGPTF has identified the provision of safe and affordable housing as a critical local need. As such, the BGPTF encourages the Government of Ontario to ensure that all discussions related to long-term energy strategies at the provincial planning level include the needs of vulnerable populations and the availability of affordable housing as outlined in the Government of Ontario’s Long-Term Affordable Housing Strategy. On November 1, 2016, BGPTF partner and Executive Director of the United Way Bruce Grey Francesca Dobbyn attended the Barrie consultation on the LTEP and shared local input on how energy plans can be better integrated with provincial planning and to ensure broader community planning and local community needs are taken into account during long-term fuels and electricity planning. Delivery fees are based on population density. As a result, fees vary greatly within Grey and Bruce Counties. For example, the city of Owen Sound is charged an urban density rate; many small towns fall under ‘medium’ density; and some 30-40% of our catchment area are charged at a more expensive ‘low’ density rate. Areas falling outside the natural gas shadow face greater risk since they have no alternative affordable heating sources. To inform stakeholders and help guide the discussion, the Ministry published ‘Planning Ontario’s Energy Future: A Discussion Guide to Start the Conversation’. The Guide provides information on the current status of Ontario’s energy system, and identifies questions for consideration.